These fall tree wedding invitations feature lovely birch trees. They are a little different to many of the other fall wedding invitations in the way that the featured colors are yellow hues rather than the usual reds and golds. There are two options for the background. The Sand is a cream color and the Taupe is almost white. Both backgrounds have some gray toned textures. For the back of these wedding invitations you can choose from a number of options including a pattern, flat colors or even a photograph. 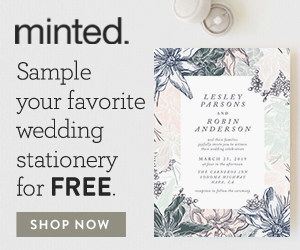 If you purchase these invitations you also get a wedding website with the same theme. The size of the invitations is 6 x 6 inches. Please note that this size of invitation will require extra postage. Some additional things you may like are the wrap around address labels and the slip in envelope liners. 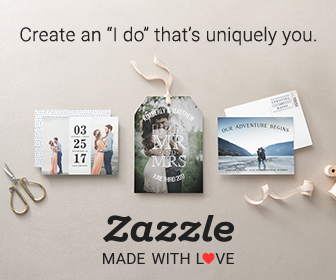 Other matching stationery and accessories include reply cards, reception cards, direction cards, thank you cards, postage stamps place cards, table numbers, ceremony programs, menus, favor tags, stickers and even save the date cards. These fall tree wedding invitations were designed by Jenifer Martino.